River View Turf Farm wants to make your ordering & delivery process ­as easy as possible. We accept payments by all major credit cards (American Express, Visa, MasterCard), checks and cash. 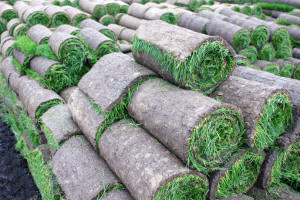 Quick ordering & delivery to your site is part of our strict quality control standards when you buy our turf grass sod. The freshness of our turf products is very important to us, and to the fast establishment of your healthy new landscape. 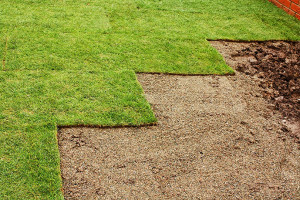 Our sod is cut fresh to order as soon as you call, ready to be shipped immediately. Just know your measurements when you call and your order will be custom cut and ready to deliver. Curbside delivery to your site is generally within 48 hours of order to the states of Florida, Georgia, Alabama, Mississippi and Louisiana. Exact delivery cost is quoted per job and we try to consolidate shipping when possible to maximize shipping efficiency and reduce delivery costs to our customers. River View Turf Farm cuts and delivers grass in slabs, mini rolls, 42 inch big rolls and 30 inch big rolls. We grow select varieties of turf grass including zoysia grass, bermuda grass, St. Augustine grass and centipede grass. Our easy ordering & delivery process assures your quality product arrives as fresh as possible, ready for installation and years of beauty and durability ahead.